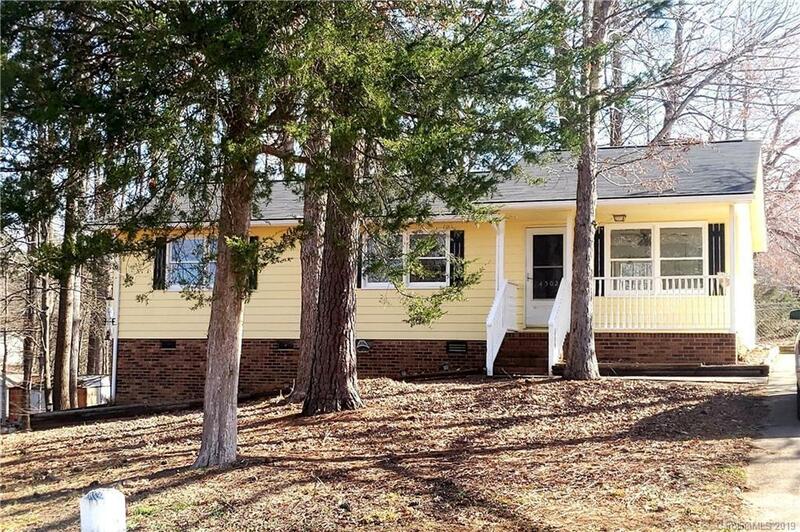 Gastonia- Lovely home on over half an acre with wooded and serene views. 3 Beds, 1.5 Bath, Fenced back yard, covered rocking chair front porch. Home has been freshly painted inside and out. New Roof. County taxes. Eligible for USDA 100% financing. Wonderful home for first time buyers or downsizing. Forestview school district.